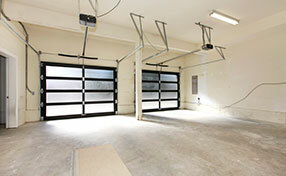 Find all your questions on garage doors answered in detail. How many springs do garage doors need? The number of springs as well as the choice of garage door springs will depend on the door's weight. When the door is of average weight, extension springs will do just fine according to our company in Bridgewater. 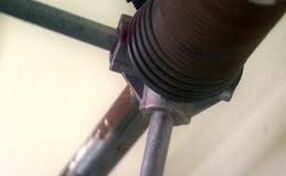 Heavier doors will need a torsion spring or perhaps a combination of extension/torsion springs or two torsion springs. What is the strongest garage door material? Wood is equally strong with steel but it is far more sensitive and hardly resistant. For this reason, steel is considered the strongest of all materials and will be highly resistant if it's processed accordingly during manufacture. With good maintenance steel garage doors can last for ages and provide great protection and insulation. Overhead garage doors are certainly safe as long as you play by the rules and keep them in good condition. The possibility of seeing the door collapsing is small unless you never inspect and repair the garage door parts. You also have the sensors to protect you but Garage Door Repair Bridgewater insists that sensors need frequent maintenance. How can I upgrade the opener? Your electric garage door opener can be upgraded easily by adding more safety features. By upgrading we mean that the openers will have more accessories and become more modern. They will have more capacities and their extra features will play a vital role to your safety, the security of your house and your own convenience. There’s a crack on the garage door’s weather seal, what do I do? If the crack is large enough to let even a little bit of the outside in, then it needs replacement. 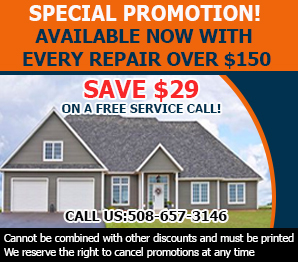 Weather seals are there to keep your garage safe from the elements, and the inside of your garage door parts are vulnerable without a working seal. How do I open my garage door when the electricity goes off? Emergency cases like storms can disrupt the electricity supply in your house. Just in case that happens and you need to get out of the garage, simply drag down the emergency release rope and open the door slowly. However, you can bring it back to its original position and push the door manually to reverse your action. If you need any help, contact our Bridgewater technicians.